Your gifts are making the difference to schoolchildren! Your support for Transform Lives one school at a time is bringing true joy and hope to schoolchildren in rural India. The Transform Lives one school at a time event in Florida, USA, on February 25, 2018 has been a great success. The stars of the show, Shreeya and Ashwin, who have done tremendous work to support rural schoolchildren through their fundraisers shared their experiences. A special thank you to the core teams of donors and helpers in Florida, Iowa, and Minnesota, whose contributions have already launched more transformations in 2018! Help us make that dream a reality in more schools! Remember that your gift will be matched. Agriculture is the primary occupation for Phulan Devi and her husband Kamlesh Mahato, in Ajna village, block Kalyanpur, Bihar. They own a small farm of one bigha (approximately 1,600 square meters), on which they grow commercial crops such as paddy, wheat, corn, and sometimes vegetables such as tomatoes. Phulan’s family used to buy vegetables from the market for their own use. Read more about how Phulan’s life underwent a positive change when she joined the kitchen garden initiative. Read More . . .
Sports are beneficial for our physical health. 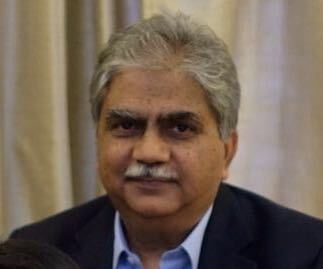 Marking World Radio Day 2018 celebrations on the theme “Radio and Sports,” please enjoy this interview with Mr. Satish Kaushik, psychologist, entrepreneurial trainer, and founder of Rajbala Foundation. Read More . 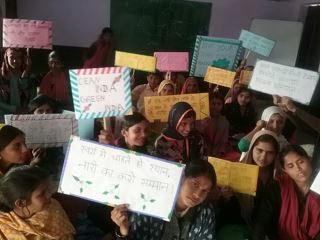 . .
On World Radio Day, listeners shared their experiences engaging with community radio Alfaz-e-Mewat and its impact on their daily lives. Alfaz-e-Mewat hosted a live discussion on this year’s theme, “Radio and Sports,” with Mr. J. G. Banerji, district sports coach, Nuh, and Mr. Nimender, district wrestling coach, as guests speaking about the valuable life skills that sports impart. 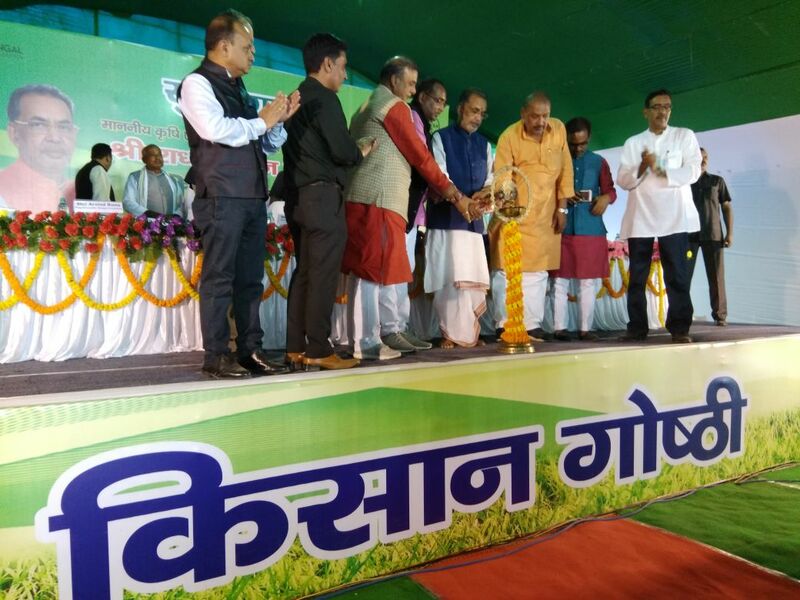 Honorable Union Minister of Agriculture and Farmers’ Welfare, Shri Radha Mohan Singh, addressed farmers from across twenty-five villages in East Champaran in a Krishi Goshthi (farmers’ conclave) event organized by Sehgal Foundation. 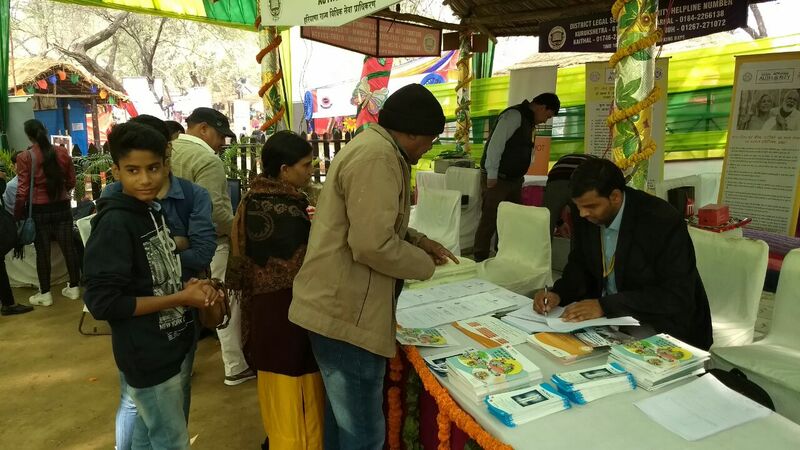 About 509 farmers from more than 25 villages participated in the event. Read More . . . While understanding that development must be community led and there is power in empowerment, the Good Rural Governance program creates a culture of good governance at the grassroots by empowering citizens and village institutions. Sehgal Foundation facilitated platforms for engaging with citizens and government. Read More . . .
Sehgal Foundation conducted a camp with the gram panchayat (village council) in village Nunthakal, Medchal district, on December 9, 2017. 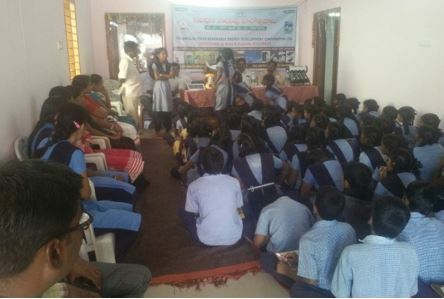 The Strengthening Village-Level Institutions initiative is mobilizing subcommittees under the gram panchayats, sharing the need for adaptation of energy-saving methods such as solar power. Read More . . . The young generation has a lot to teach their communities. The empowered students of digital literacy and life skills education centers in district Alwar, Rajasthan, are doing things differently. They conducted a sanitation and cleanliness drive. Learn More . 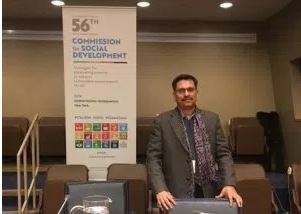 . .
Sehgal Foundation CEO, Professor Ajay Pandey, gave a presentation at the 56th session of the United Nations Commission for Social Development at UN headquarters on February 5, 2018, describing Sehgal Foundation's work with thousands of community members in various villages in India, more than 50 percent of them being women. Inclusion of women has a larger thrust on the belief that a society that cannot do justice to half of its population cannot even conceive of the idea of justice. What are the strategies for the eradication of poverty to achieve sustainable development for all? Along with partners, Centre for Affordable Water and Sanitation Technology (CAWST), Sehgal Foundation is organizing a water quality testing workshop to build the capacities of practitioners interested in conducting drinking water quality testing as part of the implementation, monitoring, or evaluation of household water treatment and safe storage (HWTS) projects, or small community water supply systems in developing countries. Spots are filling up fast, so register today!